When Belle LeClair’s US Marshal husband dies, she flees Boston and her wealthy, overbearing mother-in-law—who has already chosen Belle’s next husband! Belle won’t rule out marrying again, but any prospective partner better not have a job that will get him killed. Sheriff Brady Fontana’s fiancée was murdered on her way to join him in Break Heart, Colorado. Since then, guilt and regret have made him impervious to love. But when he rescues a family of would-be homesteaders attacked by the notorious Deckom gang, one of the sisters shines a light on his cold, locked-down heart. The last thing Brady deserves is happiness, and he fights his unwelcome feelings for Belle. 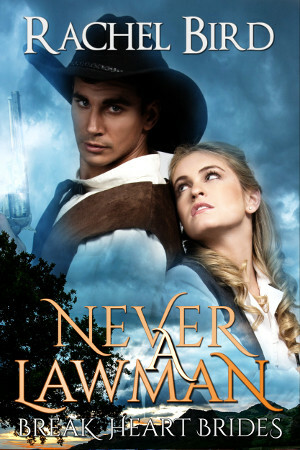 Which is fine with her, since she’ll never let herself care for another lawman—even one as wonderful as Brady. 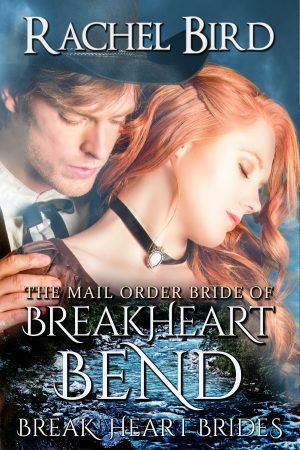 Charity Steele loves her new life in Break Heart just the way it is. She has no desire to get married herself, but when she sees how happy a new husband makes one of her sisters, Charity joins forces with the local matchmaker to find one for her oldest sister, who hasn’t been happy since their family came to Colorado. Rafe Morgan has had it with his brother’s coldness. Ever since Pres’s wife died five years ago, he’s rejected all love and affection—even from his two innocent kids. When another tragedy strikes Morning Star Ranch and Pres withdraws even further into his shell, it’s the final straw. Rafe figures a new bride will mend his brother’s broken heart—and he knows just where to get one. Naomi Steele and Preston Morgan are perfect for each other, and Abigail Vanderhouten finally has them corresponding through her mail order bride service. Love is in the air!